I plan to post information of interesting topics and pictures as I travel 'out and about' in the community and state. 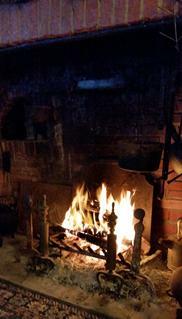 Time to light up the fire and warm up the house with the cold winter just beginning. Hoping to do some hearth cooking on the home fire soon.